Rolling Stones Wembley Stadium 4th July 1990 ticket stub. Condition is Very Good. The Rolling Stones Original A Bigger Bang Tour Concert T-Shirt Mens Large. Condition is Like New. Dispatched with Royal Mail 2nd Class Signed For. Authentic Rolling Stones tour shirt, from the 2006 Bigger Bang tour. This shirt was purchased at Twickenham Stadium. Washed once but unworn. Rolling Stones 50th Anniversary guitar pick. This was sold as merchandise at the shows during the 50th Anniversary. These are now very rare. Please ask any questions. Postage will be combined. Rolling Stones Roundhay Park Leeds 1982 Fabric Rock Patch. Condition is New. Rolling Stones Tour 2018 Lips Pin Badge . Condition is New. Dispatched with Royal Mail 2nd class Large Letter. The Rolling Stones 'Cocksucker Blues' Documentary, Live 1972, Gimme Shelter..... Condition is Very Good. Dispatched with Royal Mail 1st Class Large Letter. Brilliant Rare Stones Documentary, includes loads of extras. Excellent Condition. ROLLING STONES - RARE 2006 UK TWICKENHAM STADIUM TICKET STUB. A Bigger Bang Tour. Very good condition, a little wear & marking to the back. Nice ticket overall. Artist : The Rolling Stones, Santana, Iggy Pop. Date : 30th November 1981. Artist : The Rolling Stones. Date ; 8th August 1975. Venue : The Forum, Los Angeles. Loge Ticket Sec 27 Row T Seat 5. Artist : The Rolling Stones. A complete white ticket from the Rolling Stones performance on the 20th June 1982. Condition is excellent. A plus or minus after the grading indicates that the condition is marginally higher or lower than the stated grade. Rolling stones no filter tour shirt 2018 XL never warn. A complete white ticket from the Rolling Stones performance on the 20th June 1982. Condition is very good. The two parts of the ticket are detached from each other. A plus or minus after the grading indicates that the condition is marginally higher or lower than the stated grade. Great quality knitted jacquard scarf from the Rolling Stones NO FILTER 2019 USA Tour which is being rescheduled for July. This scarf is 59" long and 7" wide and is Made in the UK. ROLLING STONES - Bridges to Babylon - Rare Back Stage Satin Pass Tour - Unused. Condition is Very Good. Dispatched with Royal Mail Signed For® 1st Class Large Letter. A white ticket stub from the Rolling Stones performance on the 20th June 1982. Condition is very good minus condition. Has a small stain on the top edge. A plus or minus after the grading indicates that the condition is marginally higher or lower than the stated grade. THIS IS AN OFFICIAL AND AN ORIGINAL T-SHIRT FOR THE 1981-1982 WORLD TOUR BY THE ENGLISH ROCK LEGENDS THAT ARE 'THE ROLLING STONES'. THIS IS THE MOST GORGEOUS T-SHIRT THAT IS IN A STRONG VG CONDITION.IT HAS BEEN WORN AND WASHED.IT IS BLACK IN COLOUR AND THE NECK TAB SAYS LARGE SIZE. White ticket stub from the performance on the 20th June 1982. Very good minus condition. A plus or minus after the grading indicates that the condition is marginally higher or lower than the stated grade. Soho Music are proud to present this unused and original cloth hospitality pass issued on the Stones' 1997/1998 Bridges to Babylon world tour. In Near Mint unused condition. Artist : The Rolling Stones Venue : J.F.K. 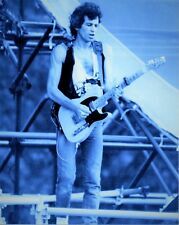 Stadium, Philadelphia Date : Saturday, 17th June 1978 Additional Info : Blue General Admission ticket No. P 413409 Condition : Very Good. Vertical folds and some light creasing. Please refer to the photos. Postage discount for multiple purchases. I have added many more original concert tickets that are now for sale on the fincharie website. Please visit and follow the link. Please check out the fincharie website for many other Beatles, Rolling Stones, Pink Floyd, Cream, Eric Clapton, Paul Weller, and many other artists memorabilia items from the 60's to the current day that are now up for sale. Thanks for looking and happy bidding. 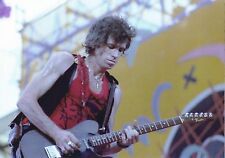 Artist : The Rolling Stones Venue : JFK Stadium, Philadelphia Date : Friday, 25th September 1981 Additional Info : Full Coloured Ticket. Sec WO Row 28 Seat 18 Condition : Very Good. Some vertical creases and some writing on the back of the ticket. Please refer to the photos. Postage discount for multiple purchases. I have added many more original concert tickets that are now for sale on the fincharie website. Please visit and follow the link. Please check out the fincharie website for many other Beatles, Rolling Stones, Pink Floyd, Cream, Eric Clapton, Paul Weller, and many other artists memorabilia items from the 60's to the current day that are now up for sale. Thanks for looking and happy bidding. These badges are reflective, so the scan may appear a little distorted, but the item itself is perfectly clear. across, and is in as new condition. I obtained it at a concert at Old Trafford, Manchester on 05.06.18. 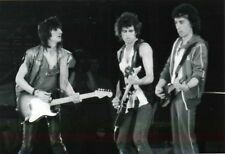 Artist : The Rolling Stones Venue : Carrier Dome, New York Date : Friday, 27th November 1981 Additional Info : Colour Ticket. Sec 5 Row N Seat 3 Condition : Excellent. Please refer to photo. Postage discount for multiple purchases. I have added many more original concert tickets that are now for sale on the fincharie website. Please visit and follow the link. Please check out the fincharie website for many other Beatles, Rolling Stones, Pink Floyd, Cream, Eric Clapton, Paul Weller, and many other artists memorabilia items from the 60's to the current day that are now up for sale. Thanks for looking and happy bidding. Rare Rolling Stones Steel Wheels Tour Sweatshirt/Jumper from 1989. Fantastic condition for 30 years old. I'm 6ft and it's a bit tight. ROLLING STONES - RARE 1990 UK WEMBLEY STADIUM TICKET STUB. Urban Jungle Tour. Nice ticket overall. Sat 7thJuly 1990. 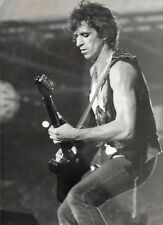 Artist : The Rolling Stones Venue : Rich Stadium, Buffalo, New York Date : Tuesday, 4th July 1978 Additional Info : General admission ticket stub. No 53461 Condition : Very Good. Crease across the bottom left corner and a small amount of paper loss to the back of ticket. Postage discount for multiple purchases. I have added many more original concert tickets that are now for sale on the fincharie website. Please visit and follow the link. Please check out the fincharie website for many other Beatles, Rolling Stones, Pink Floyd, Cream, Eric Clapton, Paul Weller, and many other artists memorabilia items from the 60's to the current day that are now up for sale. Thanks for looking and happy bidding. Press cutting on the money-spinning tour. You will receive the concert ticket itself (amazing logo design). Card advertising a Free Concert photograph (clearly way out of date now!). 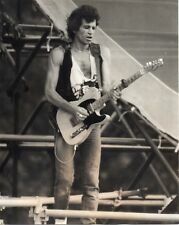 Artist : The Rolling Stones Venue : Folsom Field, Boulder, Colorado Date : 3rd October 1981 Additional Info : Green/ white General Admission ticket. Condition : Very Good. Some light creasing and two pin holes towards the left edge. Please refer to the photos. Postage discount for multiple purchases. I have added many more original concert tickets that are now for sale on the fincharie website. Please visit and follow the link. Please check out the fincharie website for many other Beatles, Rolling Stones, Pink Floyd, Cream, Eric Clapton, Paul Weller, and many other artists memorabilia items from the 60's to the current day that are now up for sale. Thanks for looking and happy bidding. Set list Hyde Park. 6th July 2013. The Rolling Stones.